In Sanskrit, Durga means "a fort" or "a place that is difficult to overrun," an apt metaphor for this deity's protective, militant nature. Durga is sometimes referred to as Durgatinashini, which literally translates into "the one who eliminates sufferings." 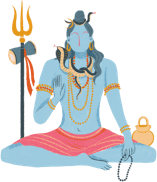 With its numerous deities, there is no end of holidays and festivals in the Hindu calendar. As one of the faith's most popular goddesses, Durga is celebrated many times in the year. 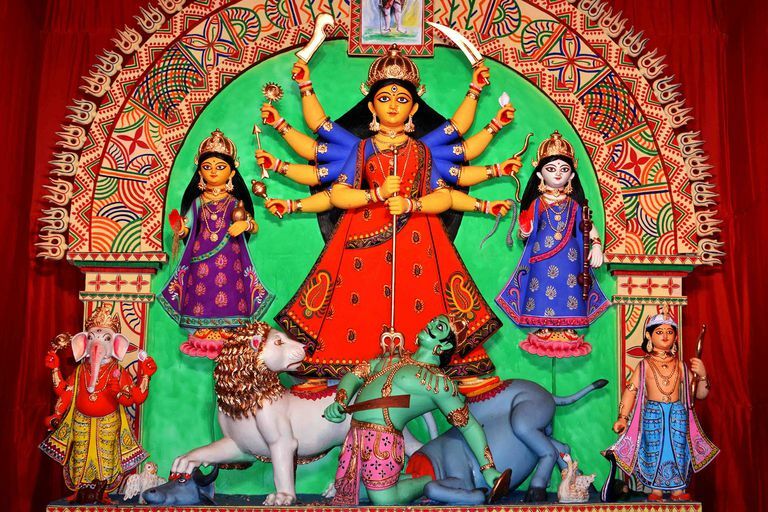 The most notable festival in her honor is Durga Puja, a four-day celebration held in September or October, depending on when it falls on the Hindu lunisolar calendar. During Durga Puja, Hindus celebrate her victory over evil with special prayers and readings, decorations at temples and homes, and dramatic events recounting Durga's legend.